How to Get Your Rent Security Back – All of It! If you are a tenant, the ability to get your rent security back can be an emotional issue. It’s your money, but it’s being held by your landlord – just in case. That last part is what you worry about. What if “just in case” turns into you’re not getting your money back? There are ways to avoid that ugly scenario, and to get all of your money back. This is something that you really need to do before you even more into an apartment or rental home. But if you didn’t do it at the beginning, you should do it as soon as possible. What you want to do is establish the fact that the home might contain certain deficiencies that are not as a result of your occupancy. It has become common in garden apartments for landlords to offer tenants a checklist that they can complete confirming the existence of any problems prior to move in. Even if your landlord doesn’t provide you with such a checklist, you should write a neat and detailed list on your own, and then send it to the landlord either by email or by certified mail so that you will have evidence that it was completed prior to move in. Don’t cut corners with this step – it is your very best protection against being held responsible for problems you didn’t create. Before giving your landlord notice of your intent to vacate the property, first study your lease in great detail, paying particular attention to the provisions dealing with the termination of the lease. The lease should spell out the amount of notice the landlord requires. This is generally 30 or 60 days. 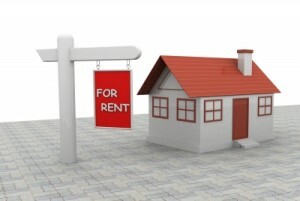 Don’t assume that the landlord will know automatically that you intend to leave at the end of the lease. There is usually a notice requirement that relates to not renewing the lease. Also, if you will be terminating the lease early, there should be written provisions in regard to any penalties for doing so. As a general rule, leases will contain language that will require you to forfeit at least one month’s rent if you break the lease. Be ready for this. Many tenants mistakenly believe that their security deposit covers the last month’s rent. In reality, your security deposit is to cover damage to the property upon the termination of the lease. Your last month’s rent is required even though the landlord is holding a security deposit. This is especially important if you live in an area where the security deposit normally exceeds one month’s rent. In some areas, it is customary to pay first month’s rent, a security deposit, and the last month’s rent. In other areas, the security deposit is equal to 1 ½ month’s rent. If you assume that your security deposit is for the last month’s rent, you could forfeit any amounts that exceed the monthly rent. The landlord can easily absorb the extra amount as a penalty for failing to pay your rent on time, or to exaggerate the cost of making relatively minor repairs. Before leaving the rental property, be sure to go through it with a fine tooth comb, and make any necessary repairs. This is particularly important if the damage was done by you, but it can also help if you repair anything that was defective before move in, but didn’t report to the landlord. It should go without saying that you should leave the home in squeaky clean condition. Vacuum the carpets, mop the floors, and especially clean the kitchen and bathrooms. A landlord can charge a cleaning fee if you leave the property a mess. In addition, it can also cause the landlord to hunt around for other issues he or she can charge you for. Nothing irritates a landlord quite so much as a tenant who moves out, but leaves a couple of rooms full of furniture, or a basement or garage full of useless storage items, or a backyard filled with yard waste or old tires. If you brought it in – you need to bring it out! A landlord can charge a hauling fee to remove anything you don’t take with you. And he will take it right out of your security deposit. Then he’ll start hunting for other things to charge you for. A little bit of diplomacy can go a long way in encouraging a landlord to return your security deposit. The relationship between you and your landlord should not deteriorate into open hostility as a result of your moving out of the property. Keep the lines of communication open, and do all that you can to coordinate your departure and the landlord’s transition to a new tenant. By being a pro-active tenant, you will improve your landlord’s opinion you, and make it easier to get your full security deposit returned, and returned quickly. Have you ever had trouble getting a rent security deposit back from a landlord? Should We Get A Gym Membership? My husband and I have been eating better and exercising for the last few months, and while we have seen progress, we are limited in our work out options at home. We live in a second floor condo, and so we have to be considerate to our neighbors downstairs with the hours we choose to exercise, and also what type of exercise we perform so we are not stomping on the floor or making too much noise with the pulleys on our home gym. For these reasons, we have discussed joining a gym on a few occasions. The topic came up again recently in a discussion with a friend, and while there are positives to joining a gym, I have some serious concerns. Well, I have one very serious concern. Impossible To Cancel A Gym Membership? Gyms are notorious for trapping people in their contracts! There are countless tales of the nightmares consumers have gone through to cancel a gym membership: the months of money stolen from them while getting the runaround regarding lost cancellation letters, the unreturned emails and phone calls, and ultimately the frustration of being unfairly sent to collections. I went online and read reviews of the gyms in our area, and unfortunately they have less than 3 out of 5 stars, and the main complaint is what I was concerned about – gym membership cancellation policies. The commenters have dealt with ‘lost’ cancellation letters, unreturned phone calls, lost emails. They have been bounced between the local business and the corporate office, and finally, the collection agency that receives their account. In our conversation, I had the bright idea of using a prepaid credit card to cover the cost of the membership for the contract term. My thinking was that it would prevent us from being charged after the contract period has ended. Unfortunately, in reading a little more about the problems people experience, it seems my idea may not work because they are within their right to continue to charge a member after the contract period has ended if that member has not terminated their contract ‘correctly’. Many who have canceled credit cards and closed bank accounts in retaliation of this practice have been sent to collections, and many end up paying the collection fee out of sheer frustration at dealing with the situation. If you have entered into a gym membership contract, please be prepared to cover yourself once the contract is nearing its end! As for myself, I think the best way to avoid this well-documented and reprehensible hassle is to not enter into it in the first place! I had a gym membership once in my life and it was a very good experience. The difference was that it was a small family-owned business, and while the expense was a bit more than the “$20/month” deal one of our local gyms are toting, at least I did not have to be concerned about a contract designed to eventually trap or steal from us. A final tip: If this feels like too much of a hassle, you can also cancel online by using cancelwizard.com’s gym cancellation service. What has your experience been like dealing with a gym contract? Have you ever suffered trying to terminate a gym contract? Have you found any ways to successfully combat the horrors others have experienced in navigating a gym contract and/or terminating one?